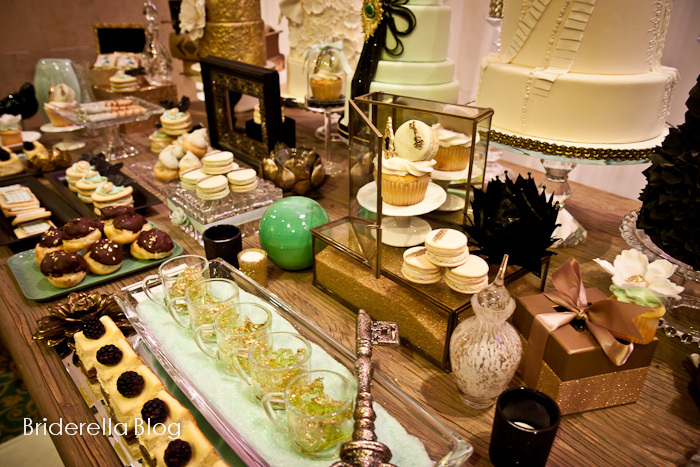 Looking for a knock-out sweet table that will be the talk of town? 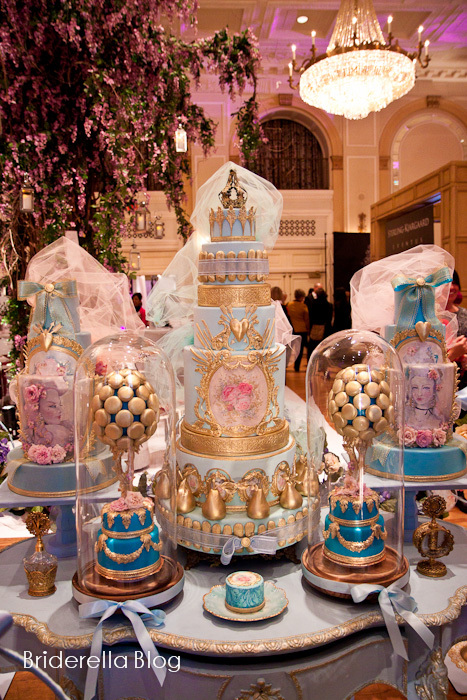 So many great cakes and ideas found at the show. 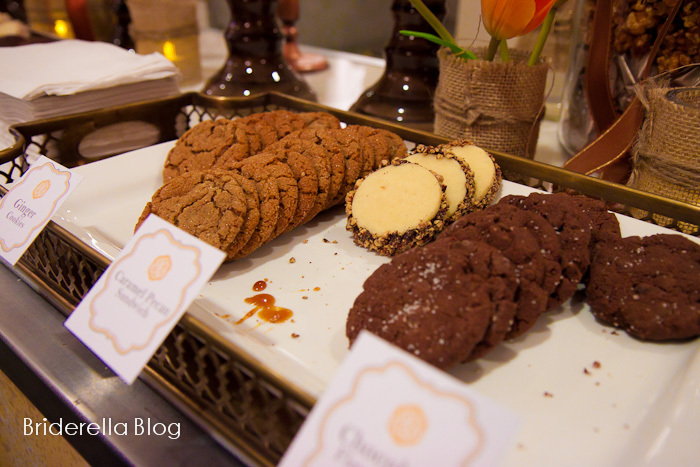 We were on a sugar-high leaving the Fairmont! Delightful little bits. 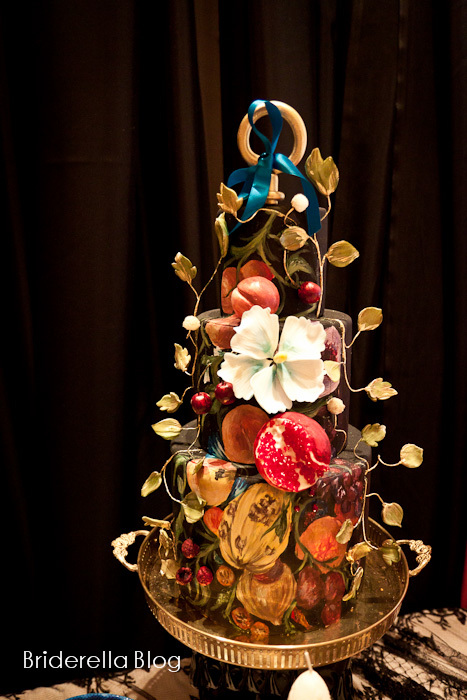 Almost too pretty to eat. The key word though, is almost. 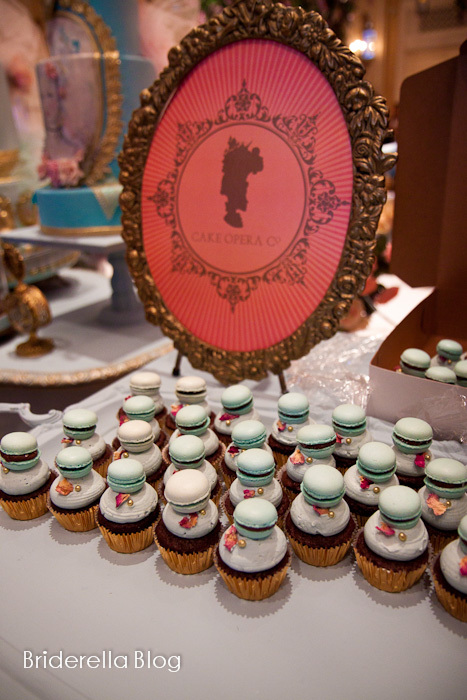 Cake Opera Co.
Our readers love teal! 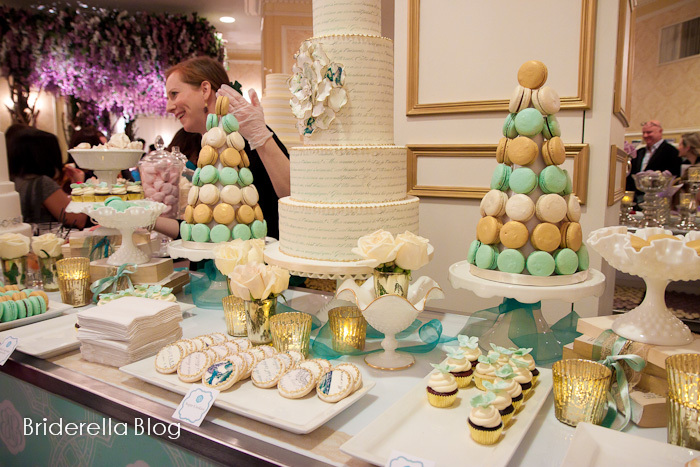 So here is more beautiful teal cake table set up. Bobette & Belle. 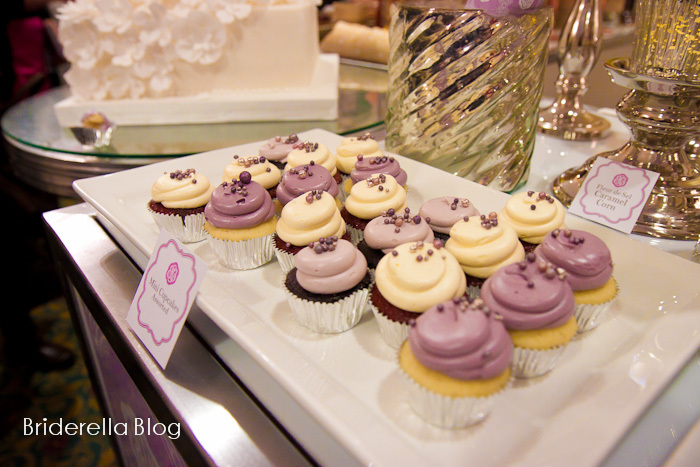 Purple cupcakes. Bobette & Belle. 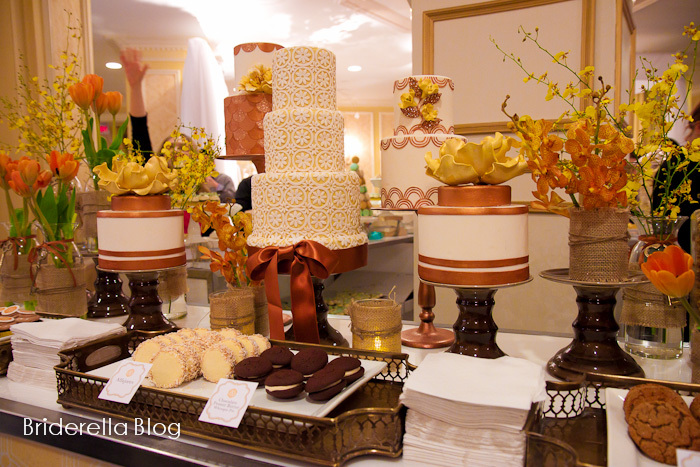 Beautiful rich browns and golden yellow cake table. Bobette & Belle. 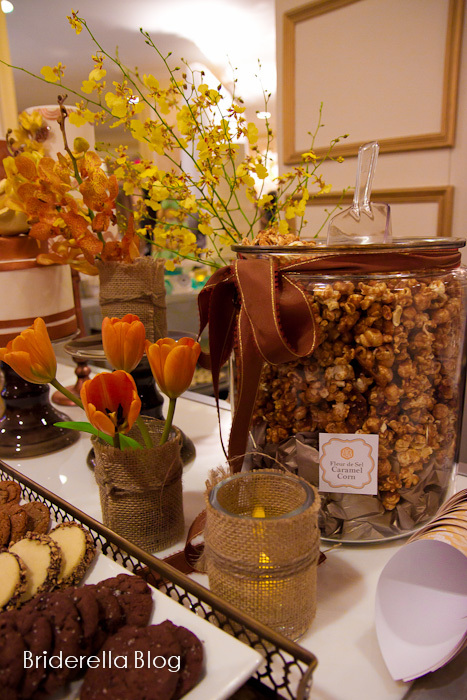 Out of this world caramel popcorn! Bobette & Belle. 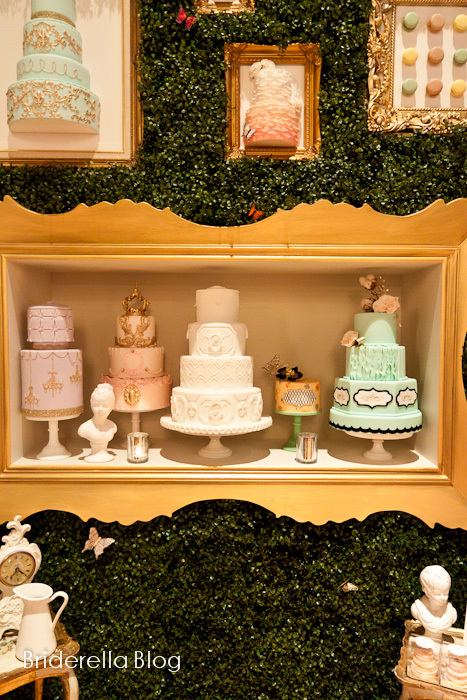 Wedding Cake Shoppe‘s cute display! Has a little tea garden Alice-in-Wonderland charm to it. Although there are many more images, we have to move on to other cool events happening in town. If you want to see the rest, check out our Facebook Page for a full gallery! 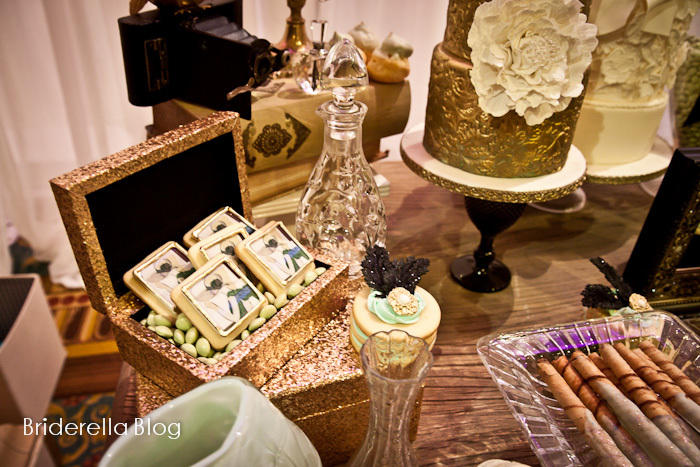 This entry was posted in Wedding food & treats and tagged sweet table, wedding cakes by briderella. Bookmark the permalink. Oh my goodness! Such fabulous creativity and workmanship! Wow! 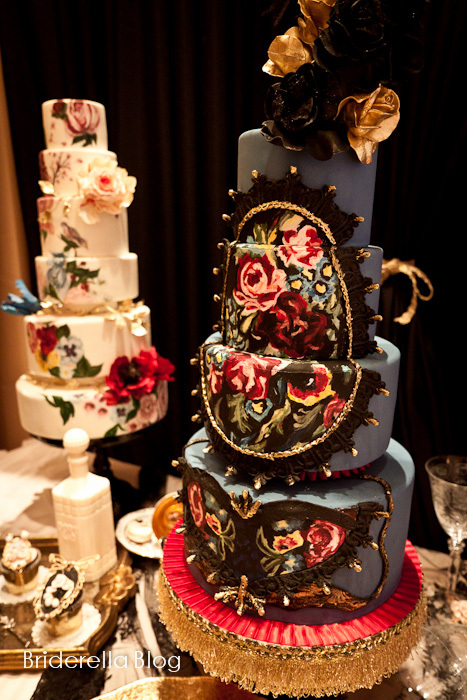 some of those cakes look amazing. Sugar high is an understatement :).